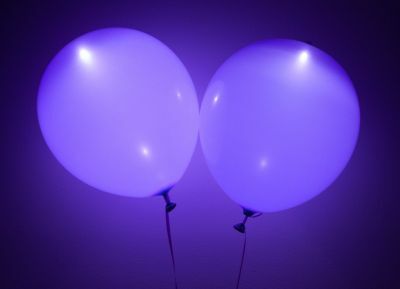 Sorry, we are currently sold out of Purple LED Balloons. Please check back later. I purchased the LED balloons to use as part of a memorial to our grandmother this past Christmas Eve. Our local party store inflated them. I thought it would be a great way to remember her since her favorite color was purple and purple is the designated color for Alzheimer's. Delivery was prompt especially considering it was the holiday season, my package arrived within 2 days.